Selection in Dominoes in Time collection, eBook edition. Nov. 2015. Selection in Dominoes in Time collection, hardcover lettered edition. Sept. 2015. Bonus supplement to Eyes Everywhere hardcover limited edition. July 2006. His airliner crashes. He breaks his neck falling down stairs. 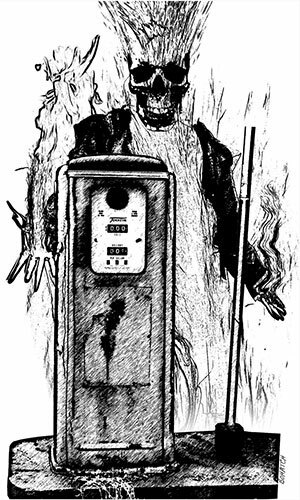 His gas pump explodes. Each accident feels real. He remembers dying. And yet, each time, Joe Merrill wakes up moments later — seemingly in a parallel reality where his death didn’t occur. His wife thinks he’s going crazy. Hell, he thinks he’s going crazy. Except his Alzheimer’s-ridden mother is having these visions, too. And then there’s that stuff in his mother’s attic suggesting they’re not the first. . . .